These cotton Folklore lengths are woven with care in Lancashire to the highest British weaving standards. 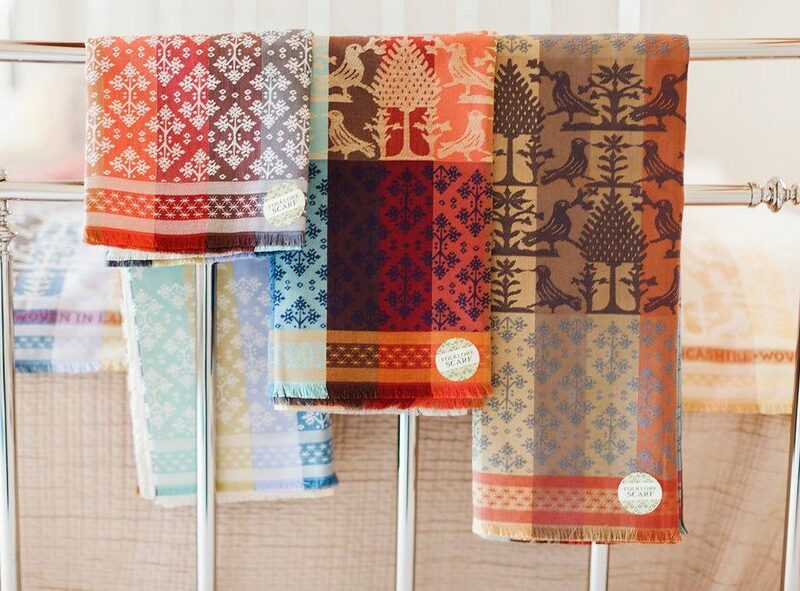 The 60cm by 145cm lengths can be used possible as decorative scarfs to brighten up an outfit or perhaps as a tablecloth runner on your dining room table, it’s up to you the individual to decide as these cloths are multi functional. 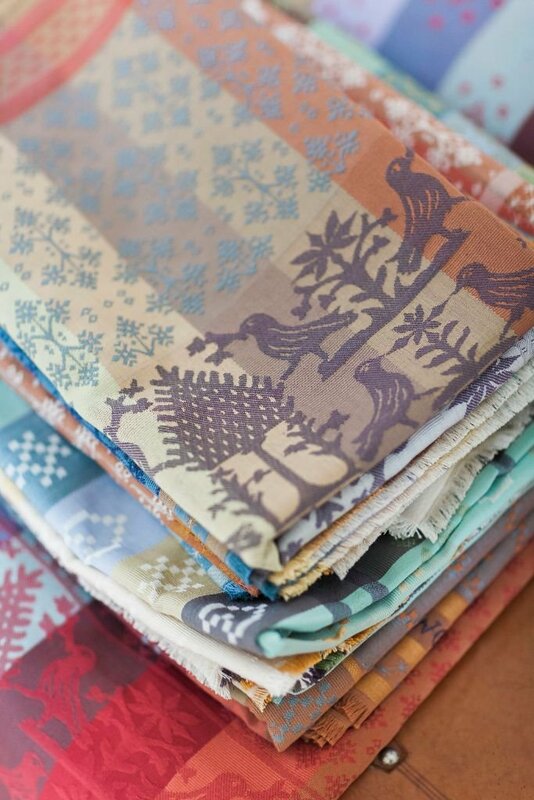 These Folklore Fabric lengths are multicoloured and will look eye catching however you choose to use them. 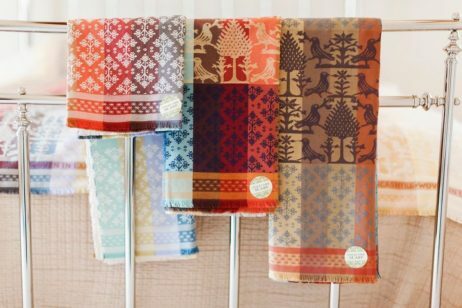 The 60cm Folklore Fabric mirrors the Bird&Leaf motif in the 2m Folklore fabric length. The Bird&Leaf motif is inspired by European Folk Design and has a fetching Bird&Leaf edge design. 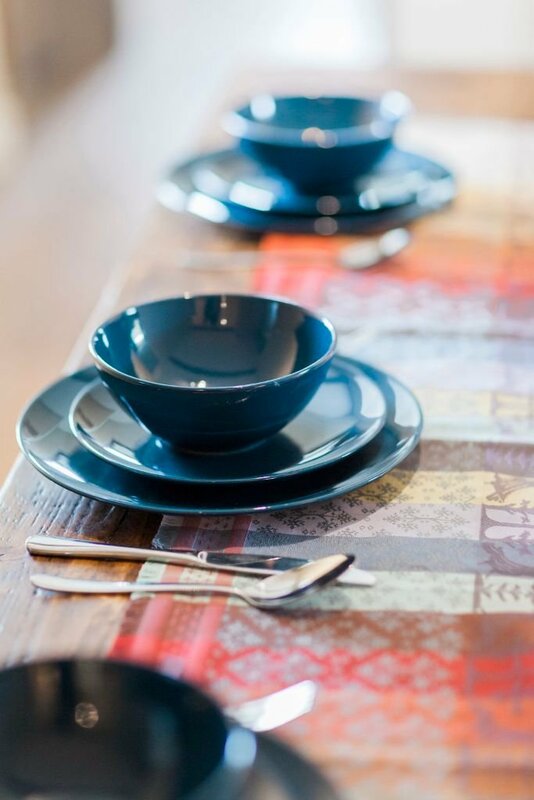 In-between the decorative Bird&Leaf edge is a pattern that is influenced by traditional Eastern European design. This 60cm design length is available in two glorious colourways. Choose from; Ecru and Pumice&Mulberry, as shown on the left and far right respectively in the main image in the product gallery. I have included free P&P in the price to GB and European destinations for ease of purchase. 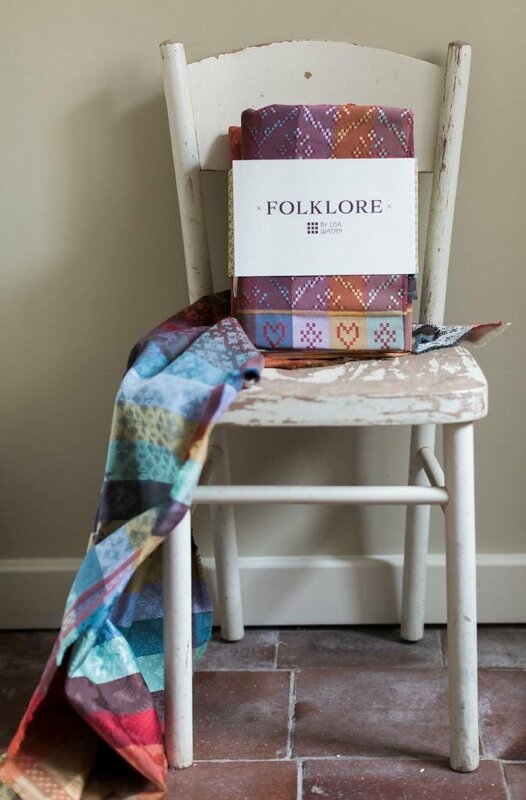 If you live further afield, happy to send 60cm Folklore fabric abroad for just £5 P&P ROW. Hope this helps? 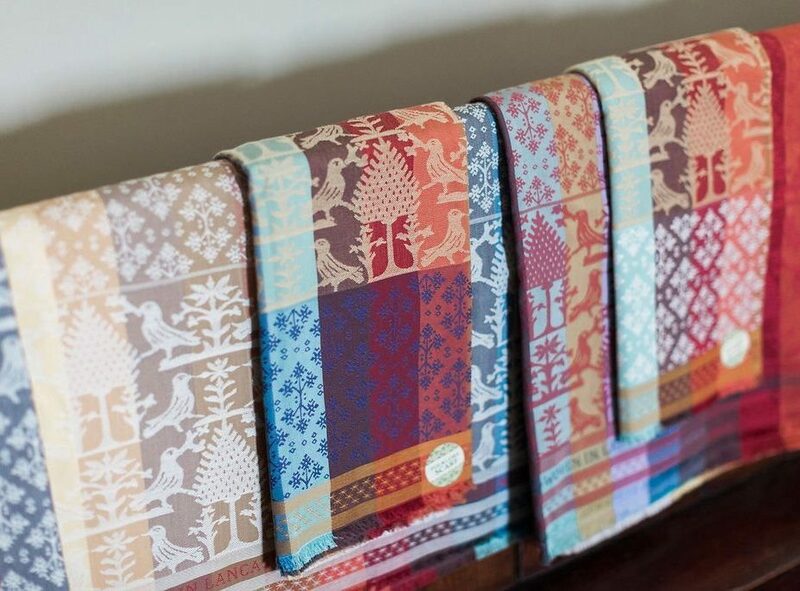 A beautifully woven fabric; gorgeous colours. 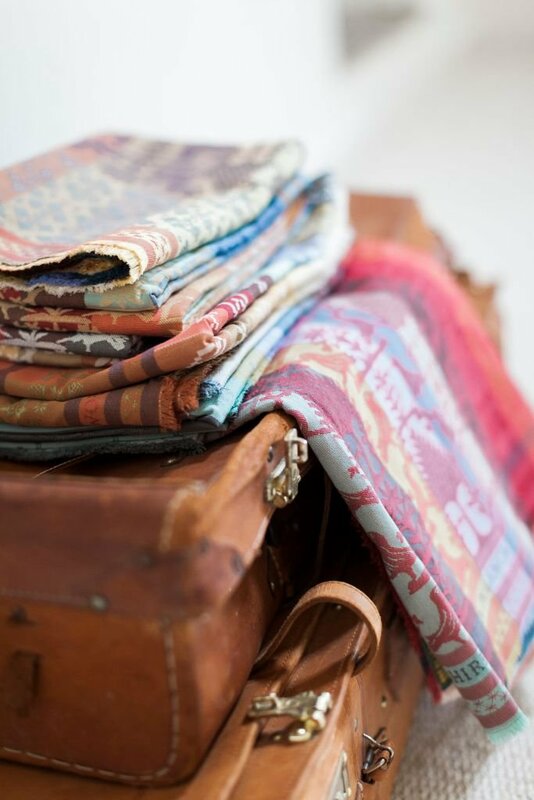 This is a gift for my daughter who buys textiles on her world travels. I thought it was about time she had something lovingly made in Britain, and this certainly fits the bill.